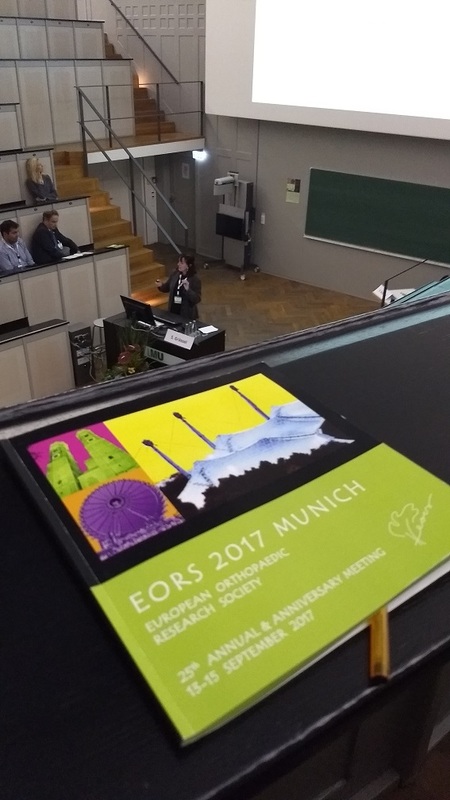 Three members of the Division presented at the European Orthopaedic Research Society Conference in Munich in September 2017. Francesca Beaton gave a talk in the Young Investigator session entitled: The influence of haematopoietic progenitors on mesenchymal populations in skeletal repair. Anna Albiero also gave a presentation, in the Bone and Cartilage Biology session entitled: Chondrocytes influence chondrogenic differentiation of bone marrow-derived mesenchymal stromal cells differently depending on the zonal origin within human articular cartilage. Sophie Frankham Wells had a poster: Drilling down: haematopoietic and stromal cell interactions influence microfracture repair.